Before our youngest daughter headed off to kindergarten three weeks ago, a fun package containing the Early Explorers Subscription from Little Passports arrived in the mail! She was so excited to open the suitcase, unpack it, and try her hand at all the fun activities packed inside! 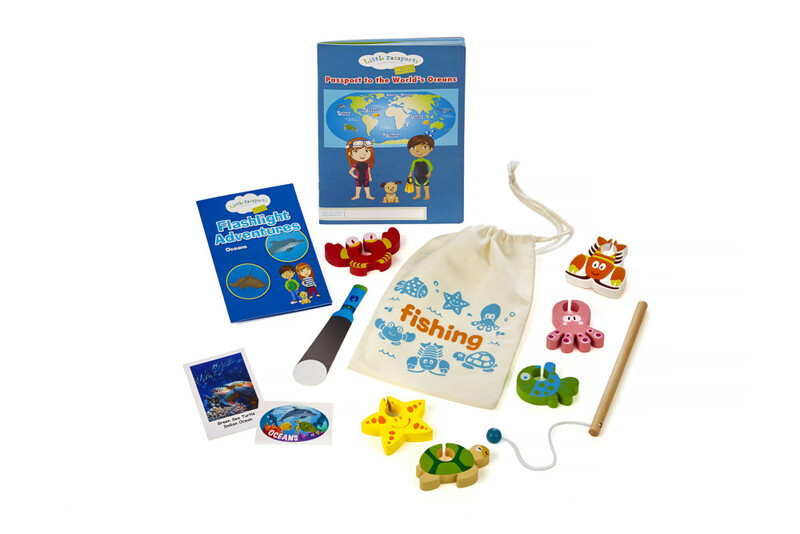 Little Passports merges play with geography, science, and reading to make learning fun -anytime of the year! 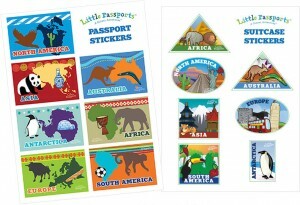 Each month, kids receive a package from their Little Passports pen pals centered on a theme, state, or country. The packages include games, souvenirs, postcards, and more. 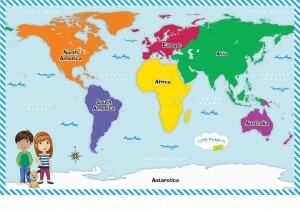 In the Early Explorers Subscription, our daughter followed pen pals Max and Mia as they learned about global themes. 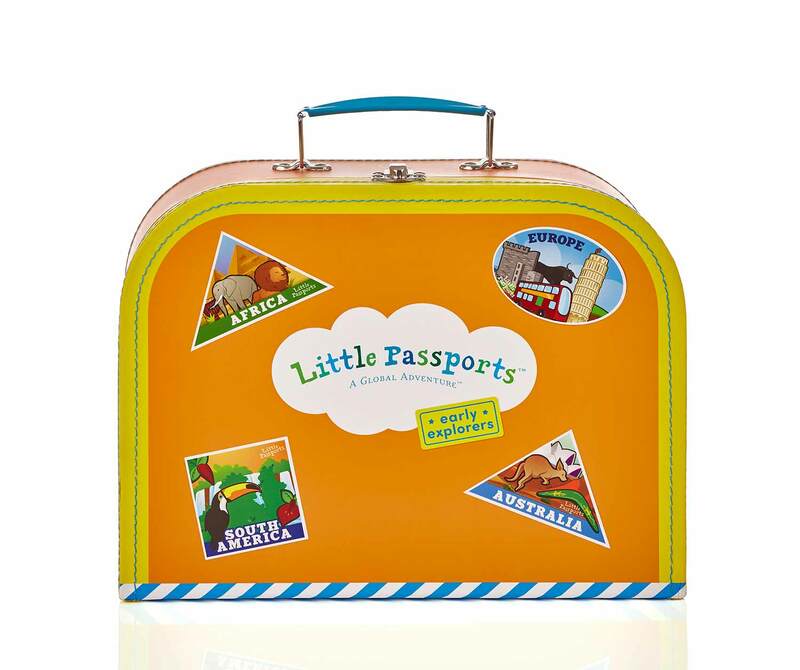 Everything she needed to get started on their adventure was included in a bright orange suitcase, such as a wall-sized world map, 20-page activity booklet, luggage tag, stickers and photos. With an exciting new theme each month, kids ages 3-5 years old can add stickers to their passports, collect famous landmarks like the Sphinx of ancient Egypt, and play a fishing game to learn more about what lives under the sea. Of course, our little guy wanted to get in on the action of the fishing game! 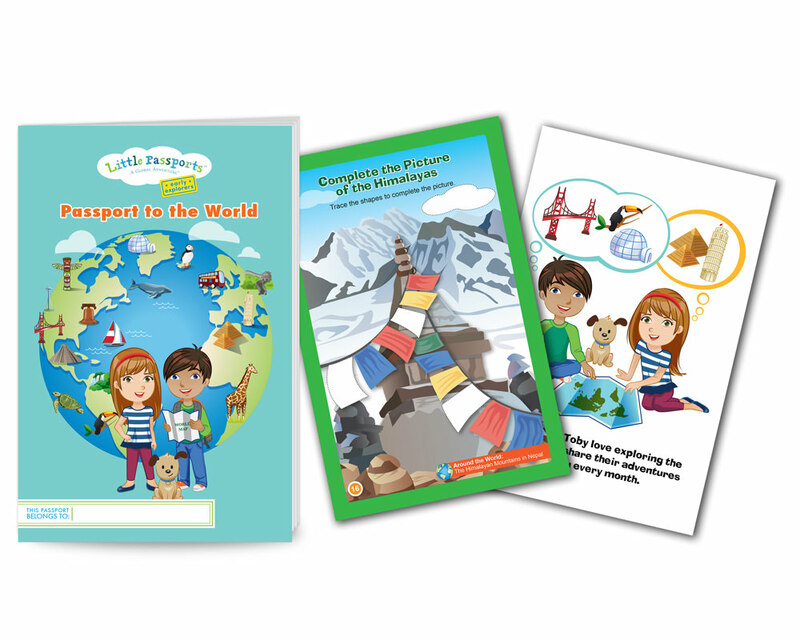 Additionally, Little Passports offers free digital Teacher Guides to coincide with countries featured in the World Edition. These guides make it easy and seamless for teachers or parents to integrate a World Edition subscription into their curriculum or at home with their kids. Countries featured in the Teacher Guides include Brazil, Japan, France, Egypt, Australia, and more. We have had so much fun with the Early Explorers Subscription from Little Passports since it arrived! 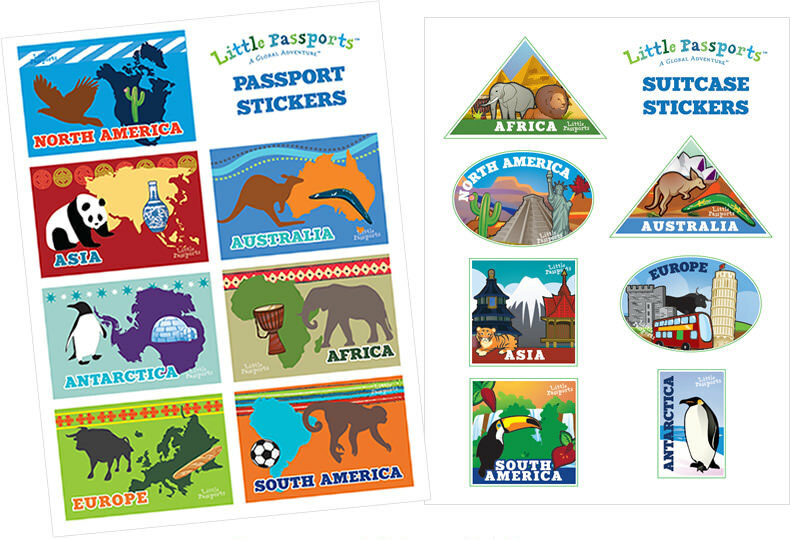 We are now big fans of Little Passports and our daughter keeps asking when the next month’s theme will arrive! http://tinygreenmom.com/wp-content/uploads/2017/09/Little-Passports-suitcase.jpg 1257 1500 Tiny Green Mom http://tinygreenmom.com/wp-content/uploads/2018/07/logo-sm.png Tiny Green Mom2017-09-02 04:00:092017-09-02 04:00:09Fun with Little Passports! With the longest day of summer officially behind us, treat yourself and your little one to skincare essentials that cleanse, moisturize and soothe. The team at Tiny Green Mom was recently introduced to the following body and skincare lines…and literally has had so much fun soaking them all in! 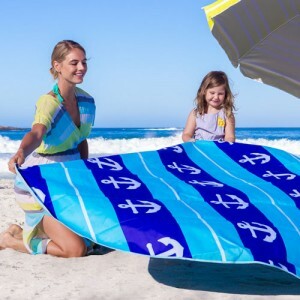 From at home after the bath to after a day spent enjoying the beach, these lines are top picks in our home this summer. 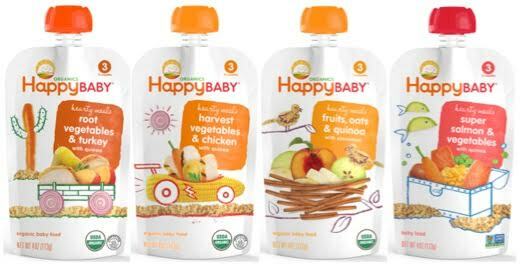 Leader of all things honeybee, Savannah Bee Company launched the Honey Buns Baby Kit, their first set of soothing and gentle body care products for babies of all ages this year. Designed with the delicate skin of newborns and infants in mind, this kit offers parents a combination of products to care for their little one’s skin. Each kit includes an award-winning Royal Jelly Baby Butter, a Honey Lavender bar soap (which smells dreamy! ), a Bumble Balm Salve and a handy go-to guide written by two Savannah, GA board-certified pediatricians, “Baby, MD: The A, Bee, C Guide to Your New Baby.” Packaged in a darling ‘Honey Buns’ embroidered seersucker bag and retailing at $38, the Savannah Bee Honey Buns Baby Kit is perfect for summer travel as it tucks into a diaper bag or backpack with ease! Whether you are an expecting mom or postpartum mom, your skin will love Belli Skincare, which has been designed for the specific needs of women! To moisturize parched summer skin, apply the luscious All Day Moisture Lotion which has a light, fresh & uplifting scent. We noted immediately how little lotion you need to apply to have a long-lasting effect…perfect for hydrated skin all day long! To help dry, cracked lips – tuck the Sheer Comfort Lip Balm in your beach bag or purse when out and about in the summer heat. In addition to these favorites, the Anti-Blemish Facial Wash has become a daily addition to “Mom’s” morning shower routine. There is nothing quite like starting the day with glowing, clear skin! If you haven’t heard of this line, head over to their website to find out why they are ‘Picky for a Purpose.‘ The Belli Skincare line does not contain artificial dyes or fragrances, and is paraben preservative-free. Your little one will love to receive a baby massage right after bathtime with this amazing 100% Natural Baby Oil, an exceptionally pure and gentle formula that absorbs deeply into baby’s skin to soften, soothe and moisturize. Made exclusively with 100% natural Australian jojoba, which is grown, nurtured and harvested on the company’s own farms down under, the 100% Natural Baby Oil contains absolutely no potential irritants including preservatives, artificial fragrances and parabens. The baby oil may be used for massage, as a bath oil, for cradle cap and diaper rash as well as for every day skin softening and soothing. In addition to jojoba, the Baby Oil is comprised of Organic camellia oil, Organic chamomile oil, Organic lavender oil, and Moringa oil. Did we mention it smells lovely?! 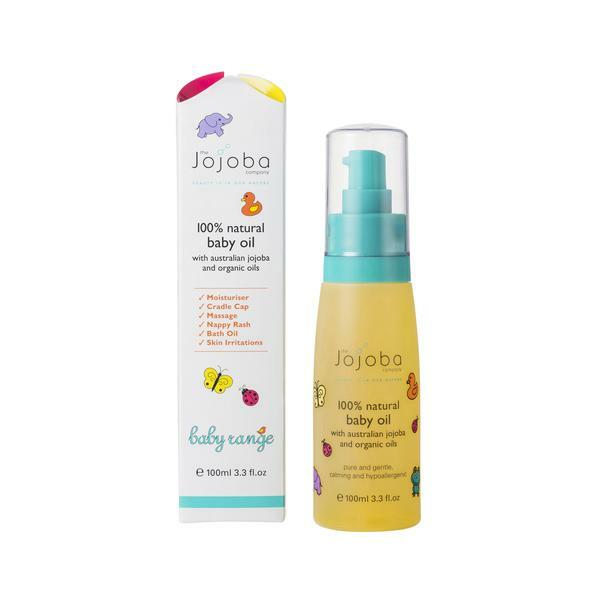 Interesting to note – baby’s skin “recognizes” jojoba as its own, and allows it to absorb deeply for greater hydrating benefits. 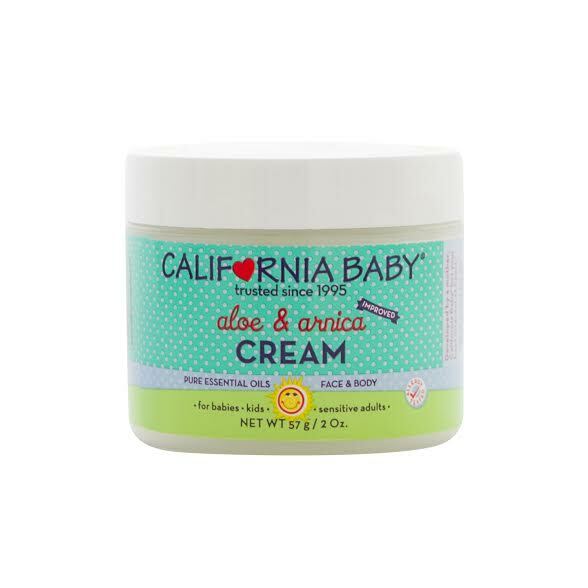 This is definitely a must-have skincare essential if you have a newborn or infant in the home! This 4 piece set is all you need for a clean & happy baby! Having just launched in the US recently, Live Clean harnesses the beautifying power in plant-based ingredients to create gentle and effective products that are safe for you, your baby, and the environment. The Gentle Moisture Baby Kit contains Live Clean® Baby Shampoo and Wash, Baby Lotion, Non-Petroleum Jelly, and Diaper Ointment. 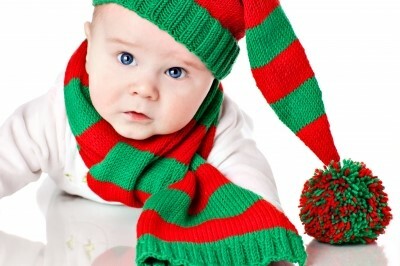 We love the Baby Shampoo and Wash – it is silky-soft and cleans baby’s skin so gently! Plus, we appreciate the affordability of the line – all items are $4 – $6, which is a breath of fresh air when seeking high-quality, eco essentials for your family! 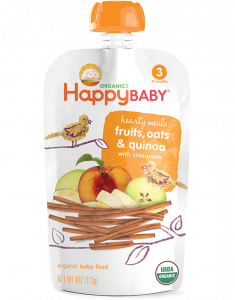 All products are Certified Organic, made of 98% renewable and sustainable plant based ingredients, and do not use petro-chemical based ingredients. The Live Clean line free of harsh chemicals, and all products are SLS Free, Phthalate Free, Petroleum Free, Silicone Free, Paraben Free, DEA Free, Phosphate Free, and Dye Free. 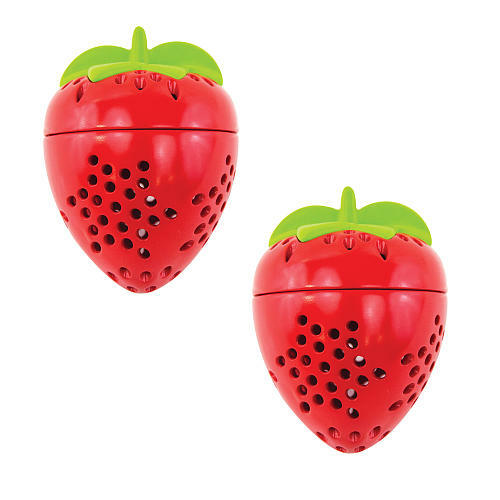 Biodegradable, recyclable and cruelty-free. 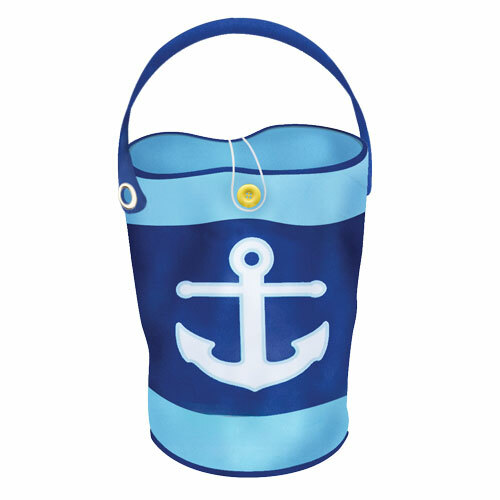 5 Diaper Bag Must-Haves for Summer Outings! As we head into summer, we have been on the lookout for this summer’s best picks for packing your diaper bag. Filled with eco-essentials that make traveling both near & far with baby on board a breeze, here are Tiny Green Mom’s 5 top diaper bag essentials! 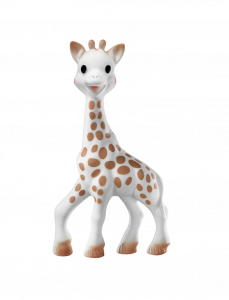 Keep your sweet baby entertained on long outings with Sophie the Giraffe! 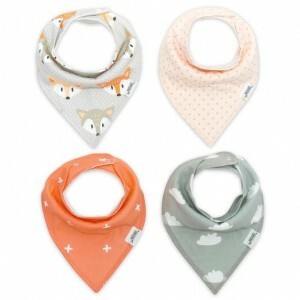 ​Handmade exclusively in France, Sophie the Giraffe​ ​has been the go-to teether for parents across the world since 1961. She is made from 100% natural rubber and painted with food grade dyes so babies can chew and squish to their hearts’ delight​. We love how easy she is to clean, too! Keep this handy, spill-proof SPF 50+ sunscreen stick in your diaper bag for when you are out and about in the sunshine with your little one! 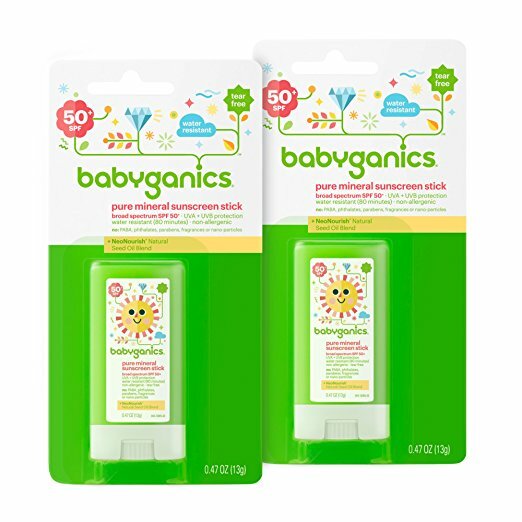 Made with plant-based and certified organic ingredients, Baby Ganics’ Pure Mineral SPF formula provides broad spectrum UVA/UVB protection and glides on smoothly for easy application. 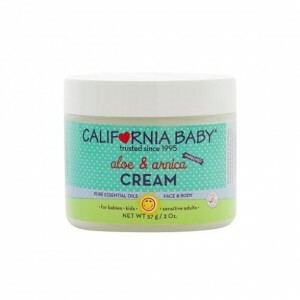 It is non-allergenic and tear free, and does not contain PABA, phthalates, parabens, fragrances or nano-particles. 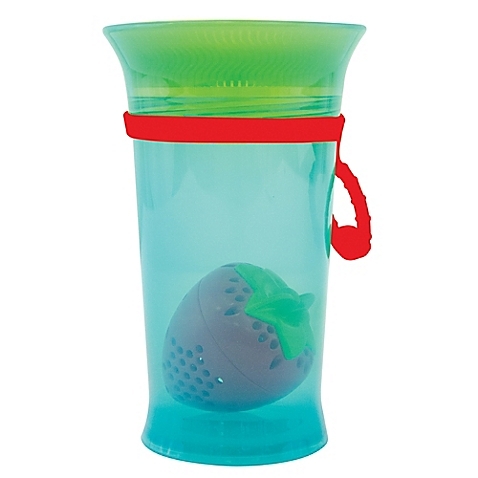 A perfect solution for moms on-the-go! 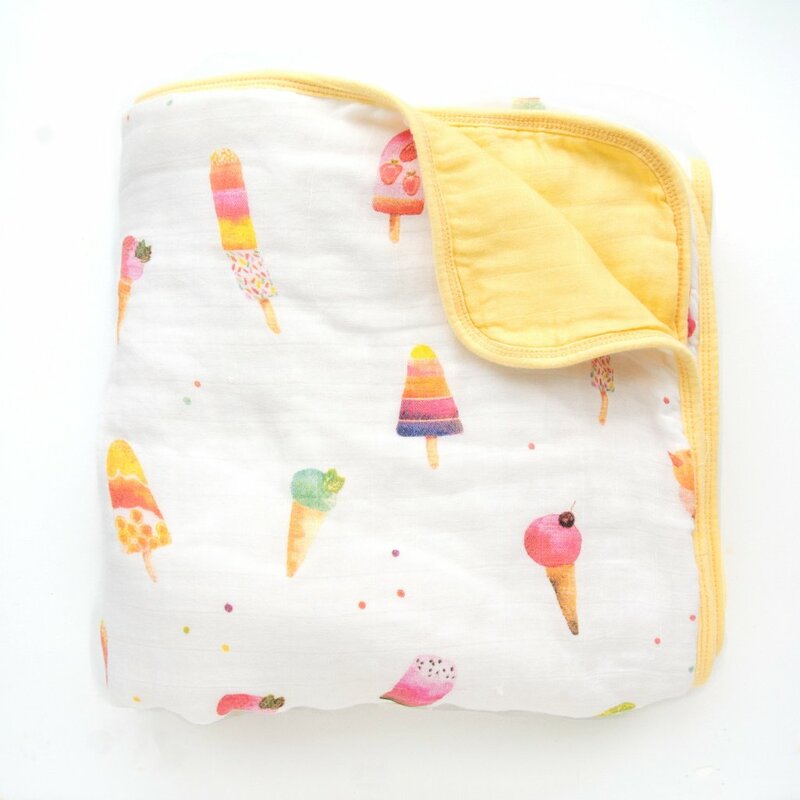 Tuck a pack of these biodegradable, natural baby wipes in your backpack, diaper bag, purse or in the car for diaper changes, sticky fingers, inevitable messes, and more! bloom BABY has made extremely soft, hypoallergenic and biodegradable baby wipes that “Mom” is loving – they don’t leave a residue or break apart in your hands. Plus, if you purchase a box of wipes, a convenient wipes pack for on-the-go is included in the box! 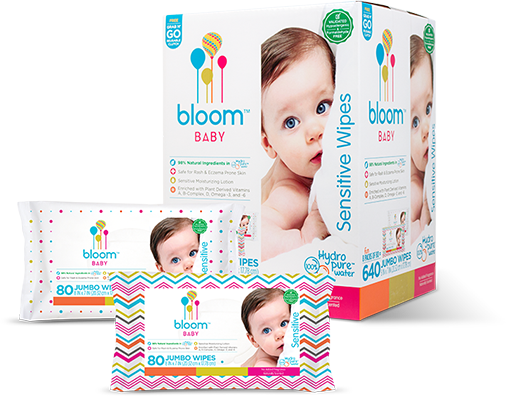 Bloom Baby Sensitive Wipes are currently available in Sam’s Club (in-store and online) and on Amazon. 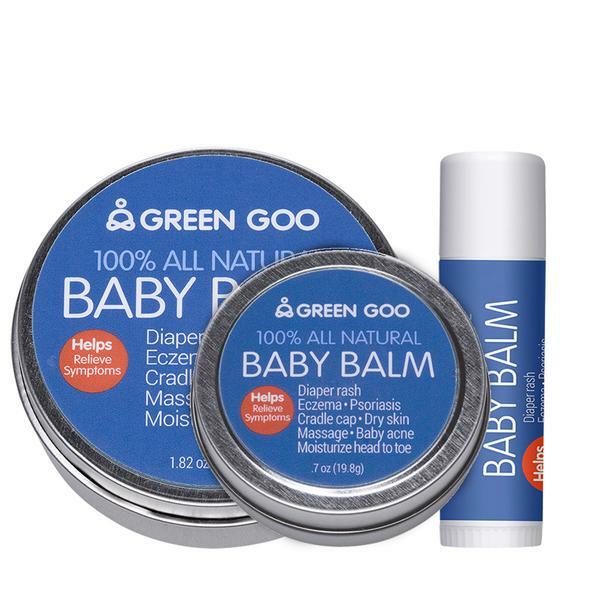 Keep this convenient balm in your diaper bag for easy-to-use application on babies and children! Made with 100% natural ingredients, Green Goo is safe to use on newborns. Green Goo Baby Balm is a gentle and soothing homeopathic salve designed to moisturize your baby’s sensitive skin while helping soothe a broad spectrum of baby skin irritations, comforting sensitive skin. This homeopathic salve helps to naturally relieve diaper rash, cradle cap, eczema, psoriasis and dry skin. 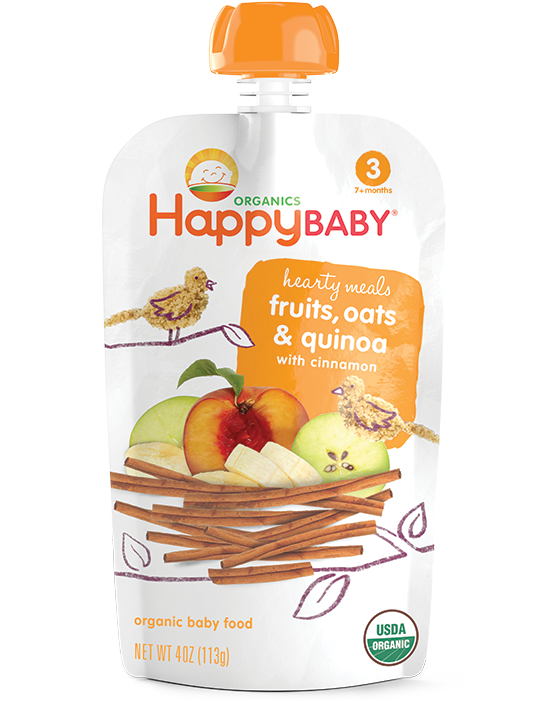 We love that the non-breakable tins and stick are a no-mess solution for keeping on hand in a diaper bag! With the warm weather right around the corner, this travel-ready kit is ideal for parents trying to plan their weekend getaways sans the stress and hassle of packing every baby product necessary. The kit features a carefully formulated selection of calendula-infused products – Diaper Rash Cream, Body Lotion, Body Oil, Body Cream, Face Cream and Shampoo & Body Wash – which are ideal for delicate baby skin (and can even be used on mom’s sensitive skin)! 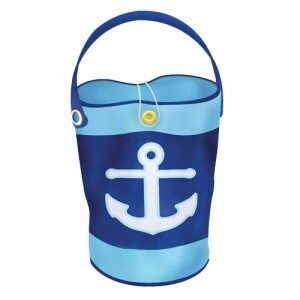 Plus they’re all housed in a small bag that can easily be thrown into a backpack, diaper bag, carry-on bag, or purse! We are big fans of calendula – it truly is a little miracle worker on sensitive skin! http://tinygreenmom.com/wp-content/uploads/2017/06/ID-100339522.jpg 400 266 Tiny Green Mom http://tinygreenmom.com/wp-content/uploads/2018/07/logo-sm.png Tiny Green Mom2017-06-03 04:48:152017-06-03 04:48:155 Diaper Bag Must-Haves for Summer Outings! With the rare lunar eclipse, comet and snow moon making an appearance last night, we were inspired to share one of our favorite ways to light up your little one’s room with the night sky! 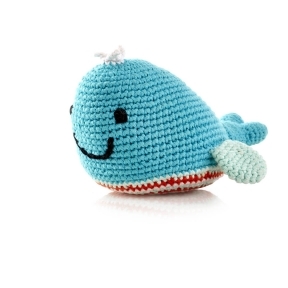 These new adorable plush characters from beloved brand, Skip Hop, feature a belly projection that shows stars and moons on the ceiling or transforms to a soft glow when belly is covered for bedtime. 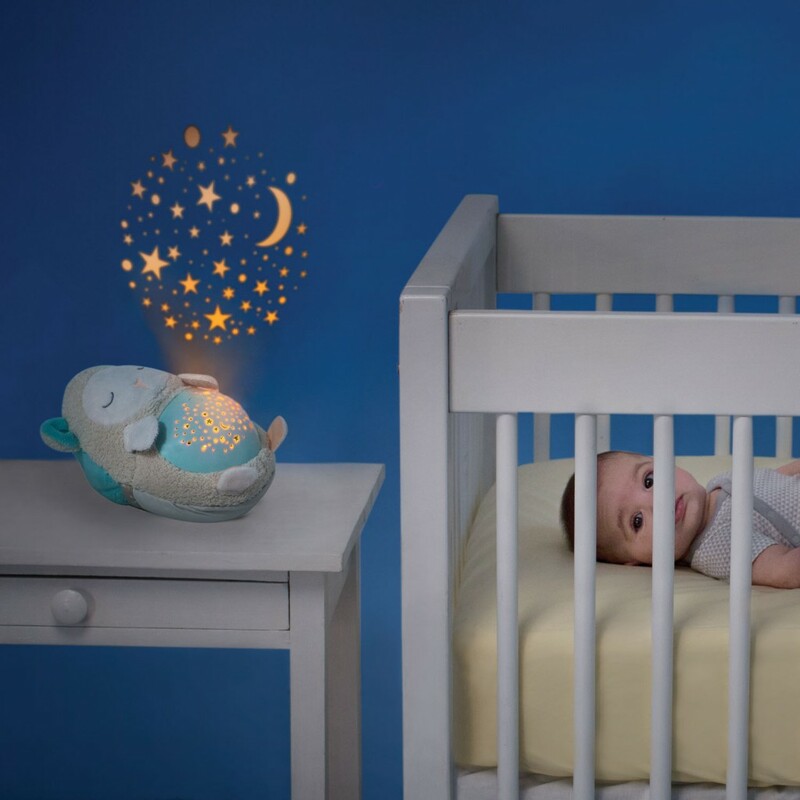 The Moonlight & Melodies Hug Me Projection Soother is battery-operated, and projects a starry nightscape onto any surface! 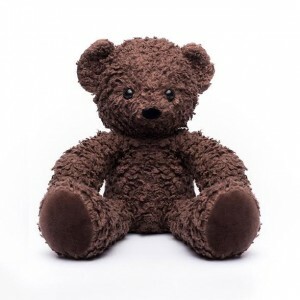 It also transforms into a snuggly bedtime friend for your child! Simply flip up the pocket to cover the projector belly and enjoy a warm nightlight glow. “Mom’s” little guy is now able to press the button on the Lamb’s belly to shine stars onto the sheets or to listen to the four gentle melodies! 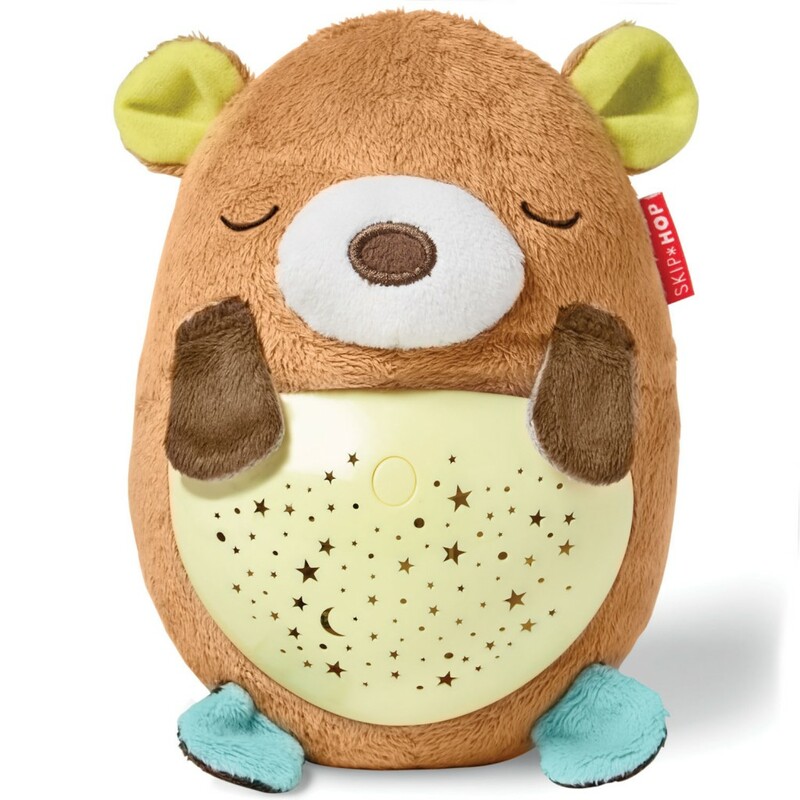 The Moonlight & Melodies Hug Me Projection Soother features an auto-off timer, which is perfect for winding down at bedtime. The Moonlight & Melodies Hug Me Projection Soother is portable and cord-free, and features an LED light that stays cool to the touch. The lights cycle through three colors, and it plays four gentle melodies, inlcuding Für Elise, Twinkle Twinkle Little Star, Brahms’ Lullaby, and Rock-a-bye Baby. 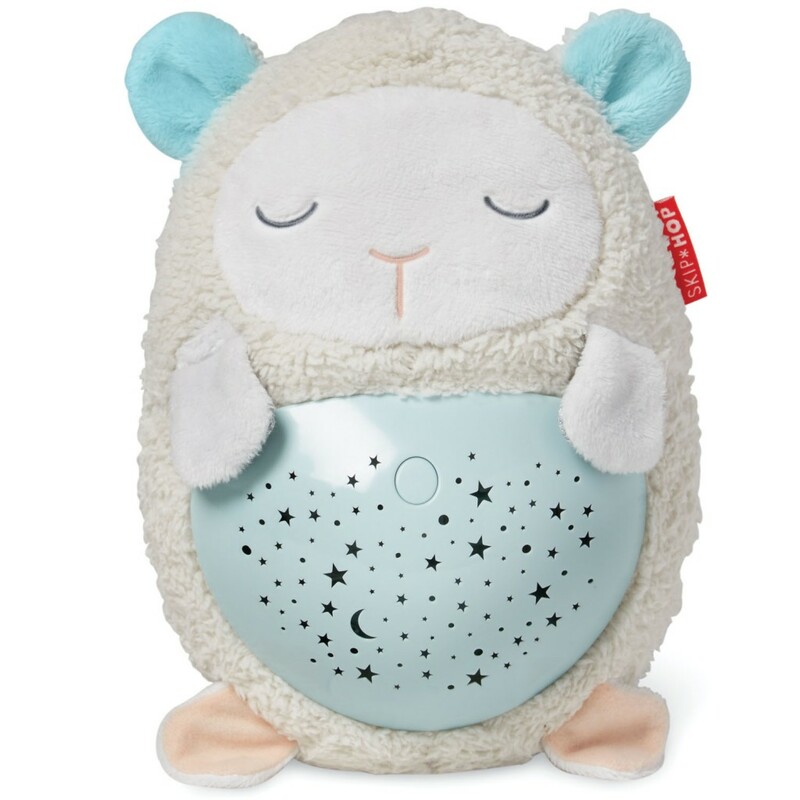 The Projection Soother is available as a Lamb or Bear – both are just too sweet! 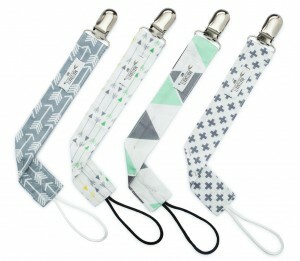 You can check out the Moonlight & Melodies Hug Me Projection Soother on SkipHop.com. The weather is frigid, the family is staying and playing indoors more, and germs are abundant. This is cold + flu season…but not to fear! 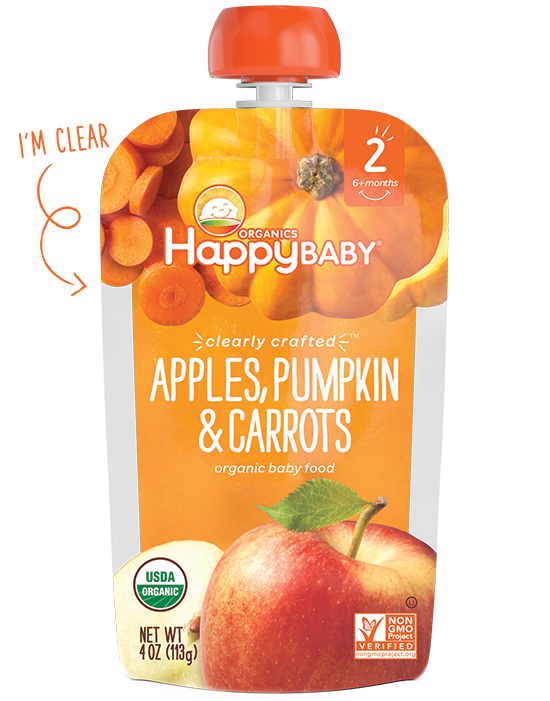 Stock up on these plant-based essentials from Babyganics to help the entire family fight germs and reduce symptoms – naturally! “Mom” applies this rub literally on the back, chests, and feet of her littles during the chillier months. 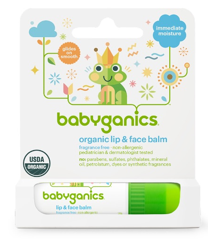 Babyganics natural blend of eucalyptus, rosemary and lavender soothes, calms, and helps to clear stuffy noses. 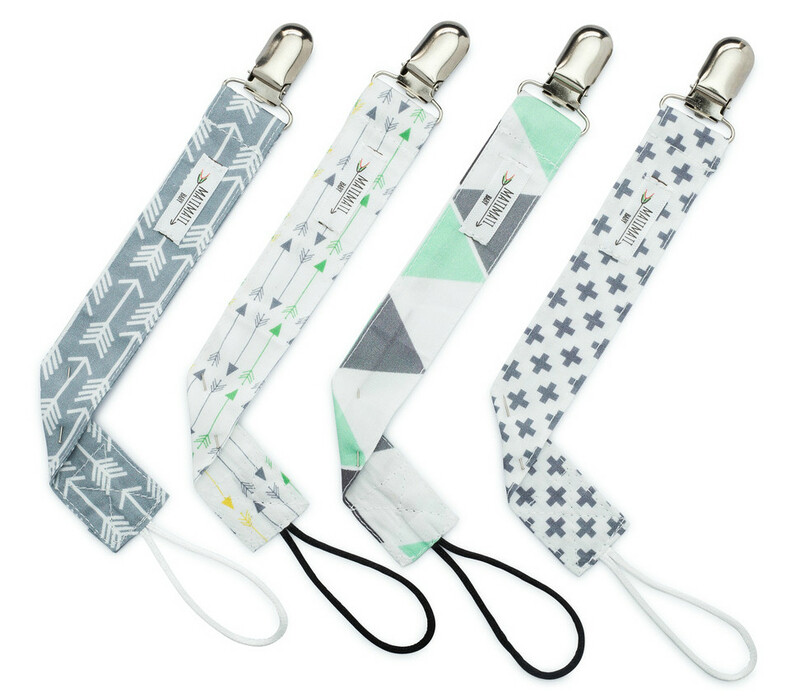 The glide on stick is designed for hands-free application, making it easy and quick to apply, which “Mom” loves! 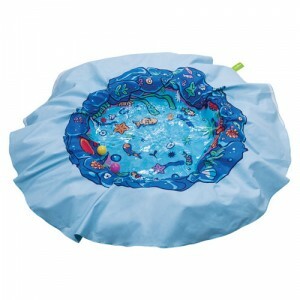 They say when children are cranky to place them in water and let them splash around! 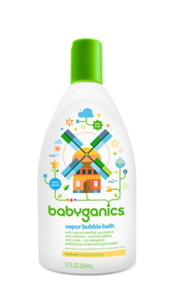 When your little ones have a cold, what could feel better than a warm, soothing bubble bath with natural fragrances of menthol, eucalyptus, and rosemary to ease their congestion, aches and general crankiness? The Vapor Bubble Bath smells amazing, soothes the skin with NeoNourish Natural Seed Oil Blend, and is non-allergenic. 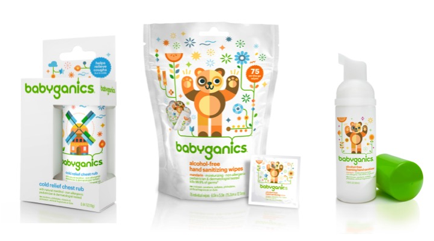 Made with plant-based ingredients, Babyganics foaming hand sanitizers and alcohol-free hand sanitizing wipes leave hands (both yours and your baby’s!) fresh and clean, both at home and on-the-go. High five to that! 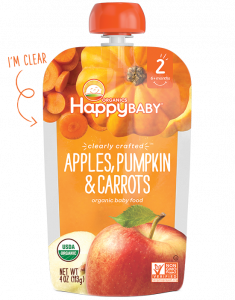 “Mom” loves that the sanitizing wipes are individually packaged, which are perfect for tucking in a diaper bag or purse, or in your child’s lunch box or backpack for school! 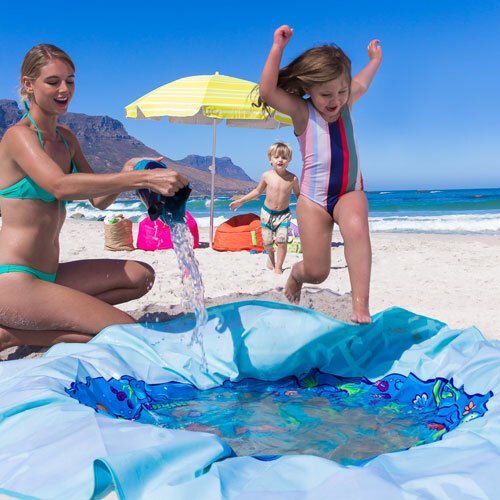 Help your children’s faces resist the elements — and 1,000 kisses. Chapped lips and faces are no fun – here’s a natural, plant-based formula made with Shea Butter and Vitamin E to protect and soothe. Plus, it’s pediatrician and dermatologist tested. Baby is now prepped for wind, cold, heat and kisses.